The College of Wooster, Millsaps College, Rhodes College and DePauw University have begun an extensive initiative to study the technique of survey archaeology. 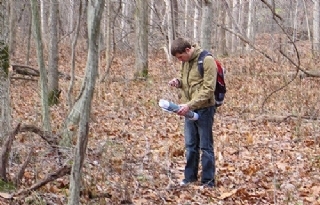 Survey archaeology studies the physical landscapes and the change over long periods of time. Pedar W. Foss, dean of academic life and associate professor of classical studies, is the faculty CGMA representative at DePauw. Foss says "Survey archaeology is usually non-intrusive and non-destructive – recording what appears on the surface over large areas. " It’s also mapping the area and trying to find developmental patterns historically for large regions. In recent decades – with the advent of satellite imagery – we can get at what’s underneath without actually digging with a kind of landscape mapping that satellites have made possible.